I thought this was such a good topic! So I did a little research and could not find the article related to this image for some odd reason but I did find some on being a Brand Ambassador. And one of the first posts or blogs I ever wrote was about Personal Branding. So we are in what should be some wheelhouses of many folks here at #AdlandPro. So to start us off let's let Social Media Today's Blog start us off on a great discussion. Two days ago I told you Why Women Are the Most Powerful Brand Ambassadors In the World. Well consider this a follow up... you'll see what I mean. The person who makes the majority of household purchasing decisions has developed an affinity for the latest and greatest social media platform, Pinterest. And brand managers and brand marketers would be very wise to take note. Earlier this year I wrote about the findings of a study done by the CMO Council and Lithium which revealed a major disconnect between Between Brands And Consumers In Social Media. That particular study showed that the reason consumers follow a give brand via social media is decidedly different than why brands think they follow them in the first place. Brand managers and brand marketers would be doing themselves a favor by reading that article if they have not done as of yet for the findings are quite telling. And no, not because I wrote it; the findings speak for themselves. But brand marketers and brand managers would also be wise to pay very close attention to what’s going on over at Pinterest HQ. As I mentioned, the person responsible for the majority of household purchasing decisions has developed an affinity, a trust even, with Pinterest. That person of course is a woman/mom. I could go on but do I need to? You get the point–or at least you’d better. Since I’ve started working with Kimpton Hotels as their brand ambassador, I’ve had many people ask me how that came about. While I can’t divulge all my secrets, I’d love to share a few tips on how I feel a brand finds a brand ambassador of their very own. A brand ambassador is like a bridge to the brand for the public, a cheerleader, and a positive presence online. These are things you can do to create a foundation to become a brand ambassador. Here’s five tips for you on the beginner’s guide to becoming a brand ambassador! Talking about things that you truly love and are excited about translates loud and clear online. I love travel and do it frequently which is one of the reasons that Kimpton is such a great fit for me. 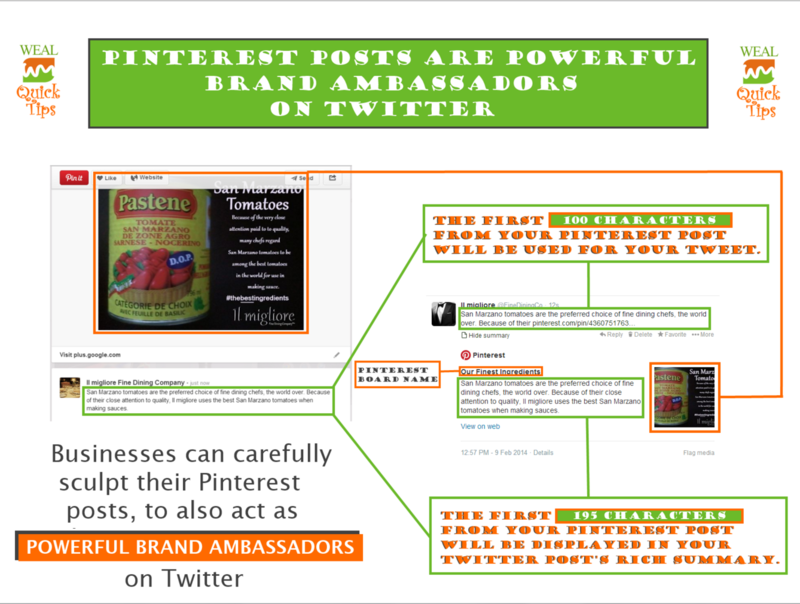 Brand ambassadorship needs to be a good, natural fit for the brand and you! Originality is the hallmark of a fantastic brand ambassador. Stand out with your unique content and personality. Sure, it could be scary but it could also be very awesome. Go for awesome! This past weekend, I stayed at the Nine Zero Hotel in Boston as their brand ambassador and I had one of my daughters, I call them my mini-me’s, with me. She loves to express herself by making videos for YouTube and Vine. As my junior ambassador this weekend, she made this video during our trip. Most of the time I didn’t know that she was filming. I do hope you will share your thoughts and experiences here too! 1) What do customers, internal employees and media sources think of your company?Press coverage, customer polls and employee focus groups can provide valuable insights into your company’s public and private image. 2) How do you want your company to be perceived in the future? By having a clear understanding of the company’s present and future image, your social media campaign will be more focused and precise. Your employees can also act as brand ambassadors and play an influential part in changing perceptions of your company. 3) What differentiates your company from competitors in the marketplace? Give some thought to what your company does better or faster than similar businesses. 4) Who is the intended audience? Knowing your audience and where they’re located affects the tone of your social media messages. 5) What social media sites are being used most frequently? The demographics of users vary with each site. Teens are more likely to be on Twitter, while older adults are more likely to use Facebook. However, demographics change by industry, gender and age, so it is best to experiment, check each site’s metrics and make changes when needed. 6) Which social media sites would be best suited to showcase your products and services? Sites that are primarily visual such as Pinterest or YouTube are particularly useful for products or services with a high visual appeal. Facebook and Twitter are more useful for text-based communications but also allow visual elements to be added to messages. 7) How will you communicate with your followers and fans on social media? Ideally, the tone of communication should be a mix of self-promotion and messages intended for the benefit of the community. 8) When will you communicate on social media? Depending upon the audience’s geographical location, the timing for social media posts should be carefully chosen and altered if necessary. 9) What are the goals you want to achieve with your social media marketing? Social media can be used for many purposes, such as increasing brand awareness, promoting a new product or service, rebranding a company and increasing revenue. However, specific goals should be established prior to the campaign. 10) How can you use video, infographics, photos and other forms of visual communication to give users a positive impression of your company? Visual storytelling through video, infographics, photos and artwork gives users impressions about how your company thinks and acts. I will say that whether you are an affiliate marketing, you have your own business or a brick and mortar employee... everyone can act as a brand ambassador and "play and influential part in changing perceptions of any company.